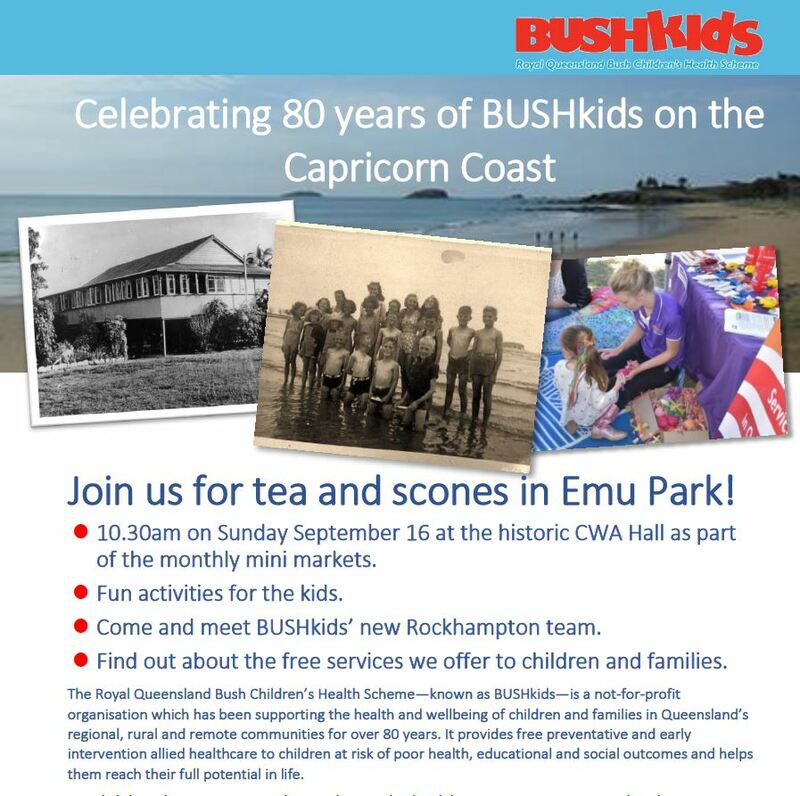 Join us for tea and scones in Emu Park to celebrate 80 years of BUSHkids on the Capricorn Coast! We will be at the historic CWA Hall as part of the monthly mini markets at 10.30am on Sunday September 16. Come and meet the BUSHkids’ new Rockhampton team and ask about the free services that we offer to children and families.